"Austin should be thankful for Puerto Rican Folkloric Dance and its energetic founding director Ana Maria Maynard. They have opened our ears and eyes to music and dance unfamiliar to most Texans." -- Michael Barnes, Arts Critic, Austin American Statesman, July 17, 2003. New Year, New Hobby Puerto Rican Folkloric Dance, KVUE News Insider, January 12, 2018. On September 20, 2017 the devastating Category 4 Hurricane Maria left the Island without electricity, clean water, or cell phone coverage for weeks. For many these conditions persisted for months -- the rest of the year 2017 and on into 2018. Because we have a dedicated cultural center we were able to turn on a dime, days after the hurricane and launched a hurricane relief initiative out of our cultural center. 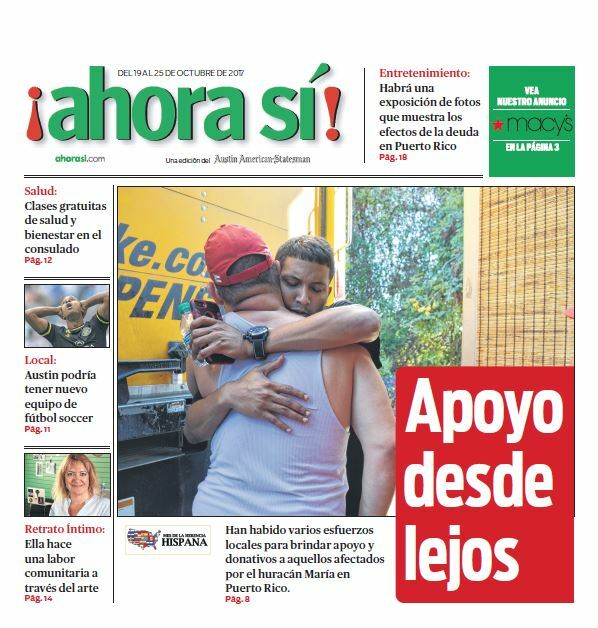 All of Austin's major TV stations (English & Spanish language) supported us as we worked with the local community to collect and send emergency supplies to the Island (Sept-Oct 2017). We also helped Puerto Ricans as they migrated to Austin to start again after having lost everything; many businesses and schools in Puerto Rico were not able to reopen after the hurricane due to the conditions. Now into 2018, we continue to support displaced Boricuas arriving in Austin as they struggle to start a new life. !! 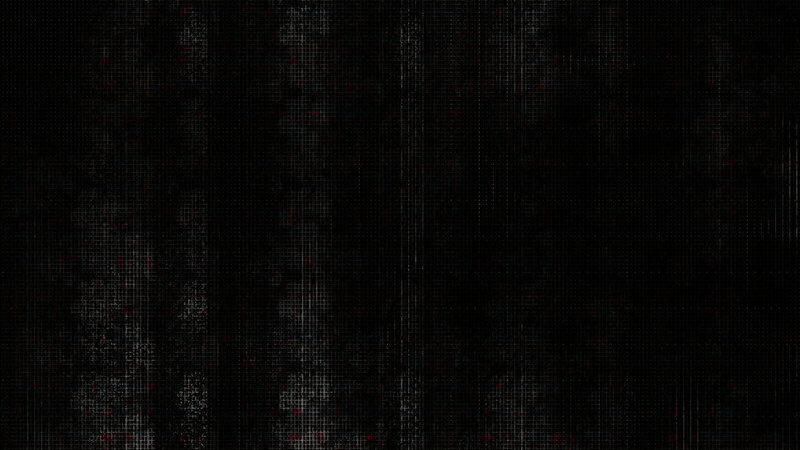 COVER PHOTO!! , Ahora Si, October 19, 2017. Hurricane Maria Relief Efforts, Amanda Salias, Fox7 News, Sept 27, 2017. [Embedded Video Below] See also: Facebook Video Link. 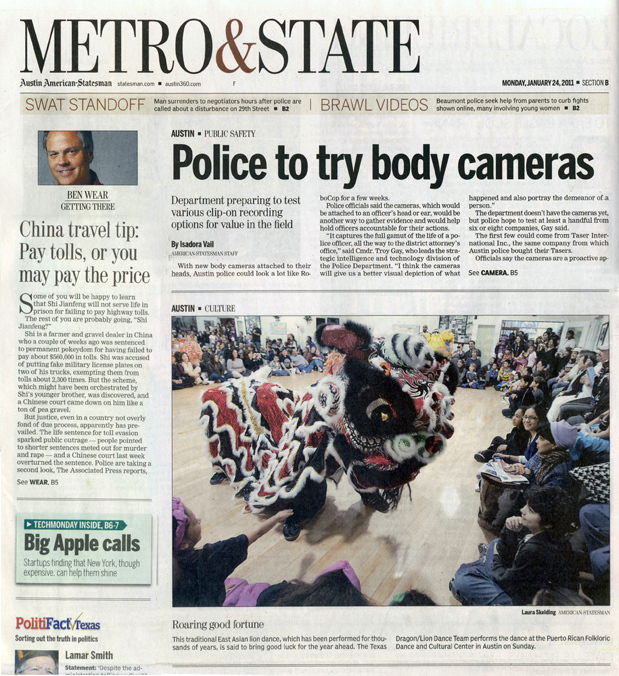 Folklore goes into Motion , Metro/State (cover), Austin American-Stateman, January 26, 2016. Puerto Rican Folkloric Dance Opens Mi Tierra Boricua , Cultura en Austin, December 2015. PRFD Sembrando Herencia 2015, Texas Folklife, December 2015. Interview with Tekina-eiru , Boricua en Austin, March 3, 2015. Cultura en Austin: Copa Mundial, Huapango y festival Bomba, eventos que no puedes perderte en junio , Ahora Si, Nancy Flores, May 28, 2014. Report includes promotion of Celebrando 2014 Salsa & Bomba Festival. El Centro Cultural y de Danza Folklorica de Austin, celebra las Octavitas. Puerto Rican Folkloric Dance & Cultural Center celebrates Octavitas, Sarykarmen Rivera, Telemundo, January 21, 2013. Octavitas: A Puerto Rican Octavitas: A Puerto Rican Celebration, Jessica Ramirez, Austin Vida Magazine, January 18, 2013. [ PDF Version ]. 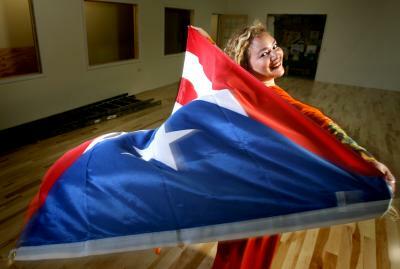 Puerto Rican Folkloric Dance Company celebrates fifteen years. American Statesman photo gallery (5 photos), Sunday, September 9, 2012. Also enjoy [ Photo ] from Statesman newsprint, Monday, September 10, 2012. Cultural celebration reflects dance to Election Day, Sebastian Robertson, YNN Austin, September 10,2012 [ PDF ]. Taino Earth Celebration & Picnic, Mariposa Newsletter, Mariposa.com, April 2012. Puerto Rican Folkloric Dance celebrates Octavitas , We are Austin.com, January 2012. Puerto Rican cultural center celebrates Octavitas, Austin Vida, January 9, 2012. Celebrate Puerto Ricans in Central Texas @ Octavitas, World Cultures Austin.com, January 2012. Puerto Rican Folkloric Dance celebrates Octavitas Holiday, TreeHuggers.com, January 2012. "Never too young to dance", Kelly West, Austin American-Statesman, Monday, May 23, 2011. 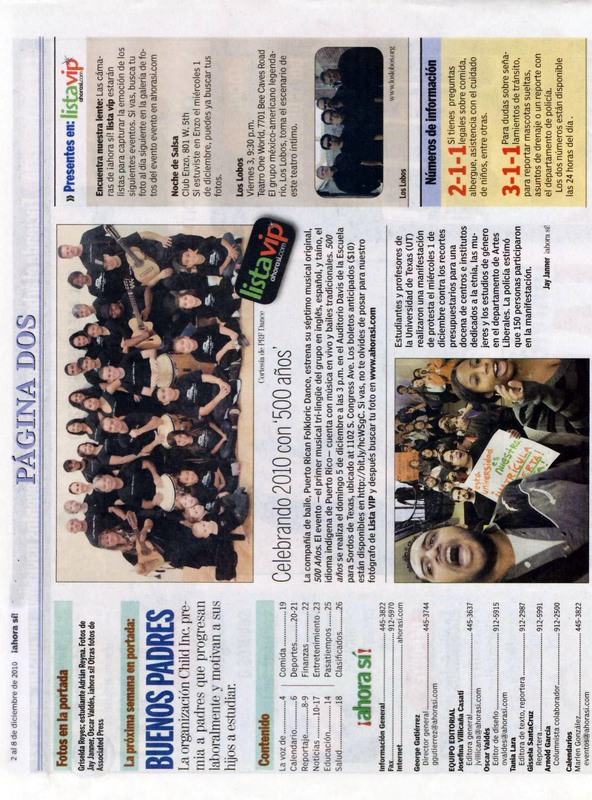 Photo from Esperanza de la Herencia 2011 makes Metro & State section of the paper.
" Puerto Rican Folkloric Dance Stages Free Esperanza de la Herencia...", Rob Faubion, AustinOnStage.com, May 13, 2011. Also enjoy the: [PDF] & [ARTICLE]. "Rich in Tradition", Julie Rene Tran, Daily Texan Staff, Thursday, April 21, 2011. A visit by Daily Texas Staff to our cultural center. Enjoy the: [Video Extra] & [Online Article]. Roaring good fortune Laura Skelding, January 24, 2011. Octavitas photo on the front cover of Austin American Statesman's Metro & State. Celebrando 2010 con "500 ANos" - ahorasi.com, December 2, 2010. Cast Photo on inside cover (page 2) announces upcoming show! "Aprendiendo de su raices indigenas boricuas" - ahorasi.com, September 23, 2010. Photo and report on inside cover (page 2) shows cultural center members proudly displaying their artesania from our Taino Macana making workshop. Celebrando Performance", Anthony Diaz, Ahora Si American Statesman, June 27, 2010. Media photographer visits our performance. "Indigenas quieren hacerse contar en el Censo," Tania Lara, Ahora Si American Statesman, March 3, 2010. Hispanics of Native Origins will be counted in the Census. "Sabor tejano a salsa y plena," Gerardo Cordero, El Nuevo Dia, 25 de enero 2010. One of Puerto Rico's leading newspapers writes about PRFDance's cultural center and mission in Texas! Puerto Ricans in Austin still celebrating Christmas! - CBS-TV KEYE Austin Live, Jason Wheeler, January 22, 2010. PRFDance Director Tekina-eiru' Maynard was invited to KEYE-TV Austin Live to talk about Octavitas, a holiday season closing event full of tradition. The interview featured video clips (included with article) of PRFDance performing Jibaro music and dance, and our favorite teachers from Mayaguez, Los Tambores de Felix Alduen performing Bomba. Decimated Tribe Seeks Recognition Through 2010 Census, Lydia Craft, Voices of America, April 5, 2010. Interview aired on world-wide radio program and as a written report. Puerto Ricans in Austin still celebrating Christmas! - CBS-TV KEYE Austin Live, January 22, 2010. PRFDance Director Tekina-eiru' Maynard was invited to KEYE-TV Austin Live to talk about Octavitas, a holiday season closing event full of tradition. The interview featured video clips of PRFDance performing Jibaro music and dance, and our favorite teachers from Mayaguez, Los Tambores de Felix Alduen, performing Bomba. Community celebrates end of Puerto Rican Christmas - News8 Austin TV, January 24, 2010. News8 brought their cameras to enjoy the Octavitas festivities and interview our PRFDance Director Tekina-eiru' Maynard on the significance behind this event. Community celebrates end of Puerto Rican Christmas - News8 Austin TV, January 24, 2010. News8 brought their cameras to enjoy the Octavitas festivities and interview our PRFDance Director on the significance behind this event. [PDF]. 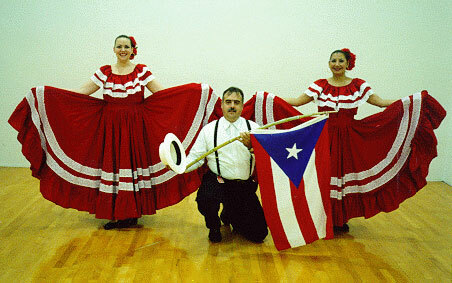 Puerto Rican Folkloric Dance Hosts annual Octavitas Celebration on January 24th - weareaustin.com, January 19, 2010. Article brings news of our upcoming event to the community. Dancing and Singing for a Puerto Rican Holiday, Rob Faubion, Tripvine: Austin Arts Insider, AOL Travel, Dec. 2, 2009. AOL Travel promotes PRFDance's upcoming musical. Puerto Rican Cultural Center Spotlight [mp3], Podcast Interview (audio) by James Fritz, UT-Austin Journalism Cultural Project Series, UT-Austin Journalism Dept, Oct. 2009. Podcast series visits PRFDance Cultural Center to enjoys a percussion class. William Maynard, PRFDance Jr. Musico and Percussion Teacher is interviewed. Interview w/ Dr. Ana Maria Tekina-eiru' Maynard , Austin Latino Neighborhood Examiner, Teresa Carbajal Ravet, September 10, 2009. [PDF]. PRFDance Director Tekina-eiru' Maynard talks about PRFDance's 12 years of cultural mission. Puerto Ricans in Austin hail Sotomayor pick", Juan Castillo, Austin American Statesman,May 26, 2009. 1st Annual Taino Awards - Founding Director recognized in in awards ceremony in New York City, March 28, 2009. Hurrican Ike Coverage: The Puerto Rican Folkloric Dance and Cultural Center sponsored a food drive... & Closeup Photo, Kelly West, Austin American Statesman, Sept 15, 2008. Good Morning America/Despierta Austin Edition, June 13, 2008. Tekina-eiru' Maynard and Cacike Caciba Opil (Martin Veguilla) of the Concilio Taino appeared on Good Morning America/Despierta Austin Edition. They spoke of Taino history and of the Taino people today. Their interview included a performance of original music featuring Taino native instruments including mayohuacan (ceremonial log drum), flute and maraca. Good Morning America/Despierta Austin Edition, April 25, 2008. Tekina-eiru' Maynard and Makitari Ramos appeared on Good Morning America/Despierta Austin Edition, calling all Tainos, sports fans, and dance lovers to bring their maraca and come enjoy Texas's first Taino community event, Texas' 1st Taino Day, Batu' Game and Areyto Dance, held on April 27, 2008. Orlando Sentinel Newspaper, March 14, 2008. Tekina-eiru' Maynard shared insights on the new generation of Tainos growing up on the Mainland in light of the recent Taino archeological discovery uncovered in Ponce (October 2007) of the oldest Antillean Indian ceremonial and sporting complex yet uncovered in Puerto Rico, consisting of nine ball courts and three ceremonial plazas. Univision TV News, July 2, 2007 - PRFDance Director, Dr. Ana Maria Tekina-eiru' Maynard was interviewed for a Univision spotlight highlighting her contribution to the Hispanic Community. Dr. Maynard spoke of her work at the Puerto Rican Folkloric Dance & Cultural Center, as well as her career at IBM, where she is a Researcher for the IBM Austin Human Ability & Accessibility Center. Univision TV News, June 20, 2007. Univision brought their TV cameras out interview PRFDance and the ALL-STAR cast of Puerto Rican Masters, who have been training us over the last 10 years. They came to Austin to celebrate our 10th Anniversary with a special performance, CELEBRANDO 2007 - 10TH ANNIVERSARY MAESTROS REUNION, June 23 & 24, 2007. Charismatic leader creates Austin Puerto Rican center, Shermakaye Bass, Austin American Statesman XL, August 10, 2006. Photo from SlideShow & Closeup Photo. News8 Austin TV, August 6, 2006. News8 Austin reported LIVE from PRFDance as we celebrated the grand opening of our new permanent facility. LIVE coverage ran top and bottom of every hour (7-9am). News8 returned in the afternoon for our Grand Opening, Open House "Bombazo" Celebration and interview people who drove in from as far away as Houston, San Antonio, Killeen and Dallas for this important day for Puerto Rican culture in Texas, the opening of the largest Puerto Rican cultural center in the Southwest United States! Puerto Rican Folkloric Dance & Cultural Center Housewarming! , by Robert Faires, Austin Chronicle, August 4th, 2006. 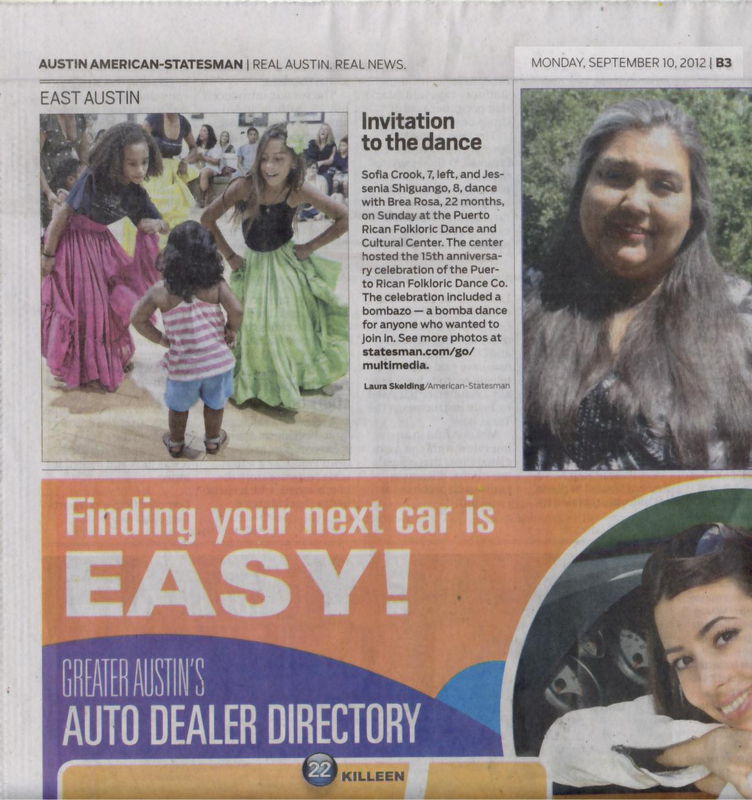 Austin Chronicle, Austin's Arts newspaper's, coverage of our cultural center grand opening. Compania de baile abre su nuevo estudio - by Gissela SantaCruz, American Statesman Ahora Si, July 29, 2006. 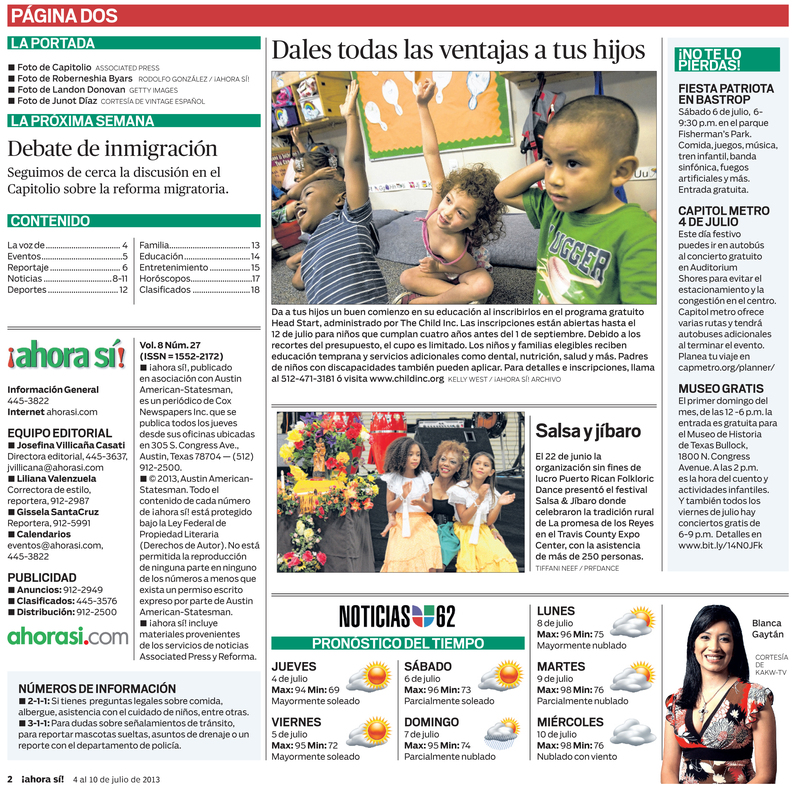 Our City newspaper (Spanish language addition) covers our cultural center grand opening. Puerto Rican Folkloric show changes location, News8 Austin TV, June 18, 2006. [PDF] News8 TV coverage of the State Theatre flooding that permanently (it seems) closed this theatre down. We did have a happy ending (last minute location change) and a great show! Austin City Cultural Plan, Julie Moody, KUT Radio, June 22, 2006. PRFDance Director Ana Maria Maynard talks about PRFDance's contribution to the City of Austin's Cultural Scene. 'Puerto Rico tiene ya su dia en Austin by Jorge Oliver, Rumbo Austin newspaper, Dec 13, 2005. City of Austin declared December 11, 2005 "Dia de folclor Puertorriquena en Austin." 'Puerto Rico Mi Patria' Saving the Island for Themselves - by Barry Pineo, Austin Chronicle , December 9, 2005. Story on PRFDance history and the history behind our upcoming musical, Puerto Rico Mi Patria. �BAILA! al ritmo de Puerto Rico (page 1) & (page 2), or [Web Version] - by Gissela SantaCruz, American Statesman Ahora Si, December 1, 2005. Gorgeous cover shot of PRFDance lead dancers, and accompanying cover story. "Ana Mar�Maynard: fiel embajadora de la cultura de Puerto Rico" - by Josefina Villicana, American Statesman Ahora Si, December 1, 2005. Story on PRFDance's fearless leader, Ana Maria Maynard. Puerto Rican Folkloric Dance and Cultural Center: Where Creativity Celebrates Tradition - by Autumn Rhea Carpenter, Austin Woman Magazine, December 2005. Article on PRFDance's cultural mission and our Director's childhood memories that inspired its founding. Avalan folclor boricua en Austin - by Jorge Oliver, Rumbo Austin newspaper, November 10, 2005. Article on PRFDance's afiliation with the Institute of Puerto Rican culture. PRFDance Affiliation to Inst. of PR Culture, Nov 10, 2005 - News8 Austin, Univision, the City of Austin TV, as well as the American Statesman and Rumbo Newspapers reported the good news: on November 10, 2005, the Institute of Puerto Rican Culture came to Austin to announce that it has named the Puerto Rican Folkloric Dance and Cultural Center the 5th Affiliated Cultural Center on the Mainland US! This designation, announced in Puerto Rico in October, brings Austin on par with Chicago and Florida where the other active cultural centers are located. Culture Flash! "The Puerto Rican Folkloric Dance & Cultural Center has just become affiliated...", Robert Faires, Austin Chronicle, November 18, 2005. Mujeres Maravillosas [HUGE MP3 FILE (17M)] - Dr. Ana Maria Maynard featured guest. Joy Diaz, talk show host, 1414AM, October 10, 2005, 6:30pm. Right click on link and save to best listen to the interview! LatiNation on American Latino TV, July 17 & Sept 11, 2005. LatiNation's NY film crew came to Austin to film PRFDance for a documentary featuring live music and dance to educate on Puerto Rican culture and folklore. LatiNation airs in major cities -- more than 70 major markets across the country and the Caribbean -- from LA and San Francisco to every major Texas city to Chicago, Miami, New York, as well as Puerto Rico, and the Virgin Islands. Un poco de sabor boricua - by Gissela SantaCruz, American Statesman Ahora Si, June 16, 2005. 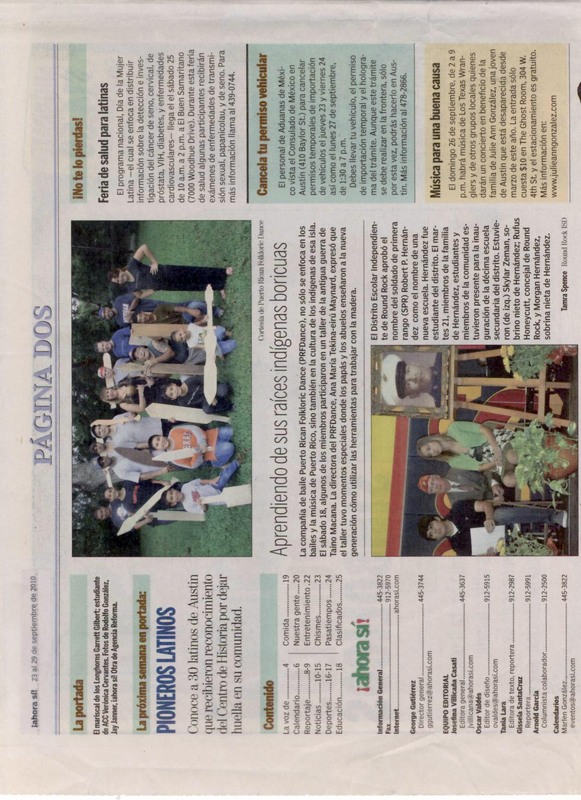 Reyes Tambien Pasan Por Austin - by Constanza Morales, Rumbo Austin newspaper, January 5, 2005. Puerto Rico danza su historia & More Photos - story and photos by Rumbo Austin newspaper, December 12, 2004. Photos were shot during performance and appeared in Rumbo Austin with our restricted permission (newsarticle only). IBMer's creative outlet a local institution: Ann Marie Maynard shares Puerto Rico through nonprofit, Chris Nay, IBM Site Communications, IBM Corporation, July 26, 2004. Puerto Rico...(1st pages) and Last Page story by Dance With Me Magazine, a Greek publication, distribution Europe, Nov/Dec 2004. Puerto Rican Folkoric Dance & Paracumbe - KUT Newsroom, June 26, 2004. News8 Austin "Arts Center Stage," June 25, 2004. PRFDance and Paracumbe appear in this hourly televised news segment in an interview and performance of Bomba and Plena from Puerto Rico's Southern Coast. FOX-TV "Capital Culture," June 25, 5:40-6pm, June 28, 5:30-6am. PRFDance appears in a television interview and performance of some numbers from our Pirates of Puerto Rico musical with live music on this segment of the news. UNIVISION TV News, June 24, 2004, 5pm and 10pm. Our special guest Paracumbe appears in a television interview and performance of Bomba and Plena from Puerto Rico's Southern Coast. KUT Radio Newsroom, June 26, 2004. Puerto Rican Folkoric Dance & Paracumbe in a radio interview on Puerto Rican traditions and our upcoming performance. 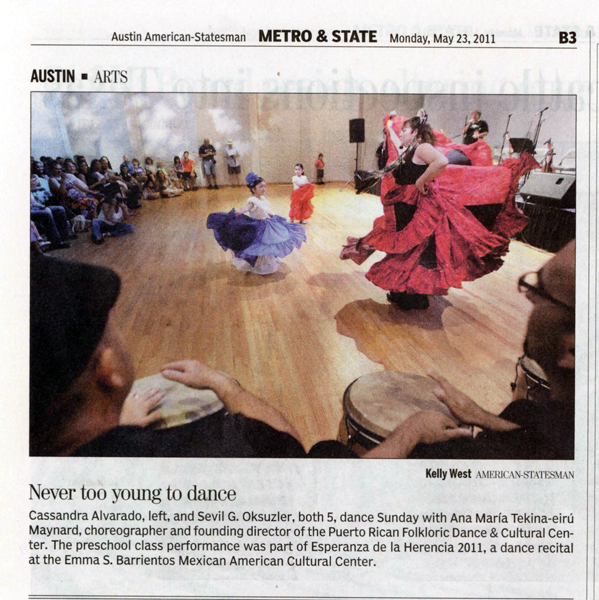 "The Meteoric Rise of Austin's Puerto Rican Folkloric Dance," Guiro y Maraca, a national cultural publication, Vol. 7, Num. 3, July 2003. FOX Morning Show - Oct 10, 2003, 6:30am, 7:00am. PRFDance will promote the upcoming Salsa Festival with a live performance on the FOX Morning Show. Interview with Director Ana Maria Maynard and PRFDance Performing Company dances share the history of Plena and Bomba, which we will perform at the Salsa Festival, Oct 12, 2003 at Waterloo Park. Univision News, July 11, 2003, 5pm. Live interview and musical performance with Guateque de Puerto Rico. "Center Stage," News8 Austin, Friday, July 11, 2003. Hourly news segment featuring an interview and musical performance with PRFDance musicians and dancers. Friday Morning Rush Hour, Garcia Communication Radio Stations (KELG, KKLB, KFON, KTXZ), July 11, 2003. Live interview featuring PRFDancer Jennifer Rush. Puerto Ricans Enrich Our Lone Star State - San Antonio Express-News, December 7, 2002. Texas, we are proud to be here representing our Islita! Why They Dance - Austin Family, Resource of the Month, August 2002. Why do we dance? E_K_L_E_K_T_I_K_O_S with John Aielli, KUT Radio 90.5 FM, Wednesday, June 19, 11:00-11:40am. Exciting live radio interview and musical performance of totally improvised Bomba and Plena with Los Pleneros de la 21 and PRFDance. KEYE-TV Morning Show, Thursday, June 20, 6:30am. Interview and performance of Plena by PRFDance musicians and dancers. "Center Stage," News8 Austin TV, Friday, June 21. Hourly news segment featuring an interview and musical performance with PRFDance musicians and dancers. Tapestry's cornucopia satiates the soul - Austin American Statemsman, Life & Arts, Wednesday, February 27, 2002. Coverage of large community dance event hosted by Tapestry Dance Company. Austin Dance Company Flourishes... - Arts Center Stage Newsletter, Nov. 2001, p. 4. Parenting People - Austin Our Kids, August 2001. [PDF] Children are an important reason why we do this. Spotlight on Dance - Austin Chronicle, June 22, 2001. PRDance Director shares some of her inspirations. Featured Arts Group - Austin Family, June 2001. We enjoyed working with this High School future-writer, helping her get her first publication credit. Beyond 'Nutcracker': A World of Austin Dance - Austin American Statemsman, Life & Arts, Friday, December 1, 2000. PRFDance offers a cultural alternative. FOX Morning Show - Aug 31, 2001 7:15am. PRFDance performs Plena Baseball for FOX's television morning show Friday, Aug 31, 7:15am to promote the 4th annual Austin Salsa Music Festival that will take place in Waterloo Park, Sept. 30, 1-9pm. Festival will feature Puerto Rican Power direct from the Puerto Rico, Tito Puente Jr., and salsa sensation from New York, Luisito Rosario. News 8 Austin's "CenterStage" - Saturday, June 23, 2001, Featured Every Hour, All Day. PRFDance Director Ana Maria Maynard and Dancer Ricardo Palacios were interviewed for News 8 Austin's hourly Arts Feature to promote PRFDance and Celebrando 2001 with Modesto Cepeda. Fox Morning Show - Friday, June 22, 2001, 7am. TV appearance by Modesto Cepeda, members of Cimiento and the Director of PRFDance promoted Celebrando 2001 with a live interview and a live Bomba performance! Planeta 1560AM Radio - Wednesday, June 20, 2001, 7am. Our very own, smooth talking, ultra positive and energetic Gloria Gonzalez was interviewed to promote Celebrando 2001 with Modesto Cepeda. UNIVISION TV "Desde Austin," with Amparo Ortiz - 1am, March 11, 2001. 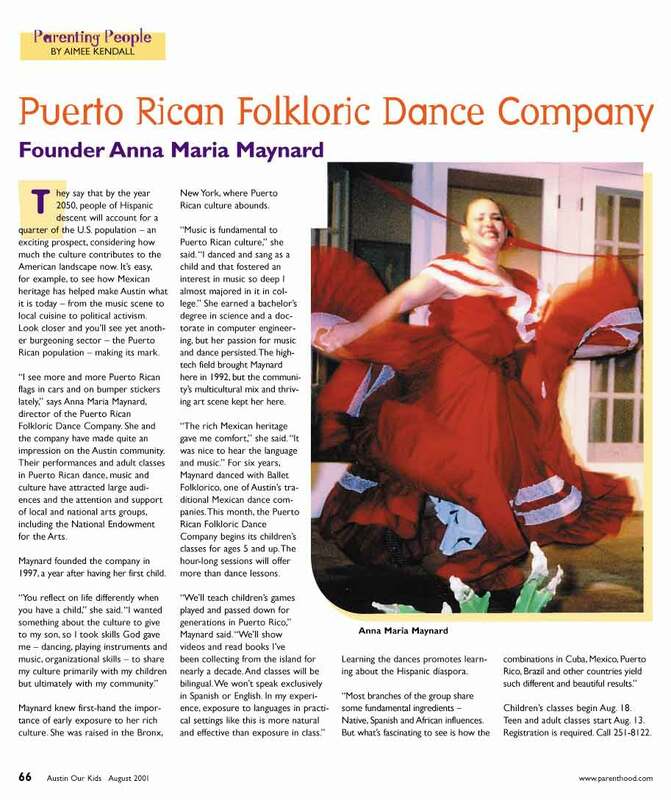 Interview with PRFDance Director Ana Maria Maynard and featuring the PRFDance performing company modelling costumes and dancing the traditional bailes of Puerto Rico. Oh Don Francisco!!! We're here!!! FOX Morning Show - Friday, Sept 1st, 2000, 6am. PRFDance will promote the Salsa Festival with a live performance on the FOX Morning Show. Interview with Ana Maria Maynard, Director and the PRFDance Performing Company dances and shares the history of Plena to promote the upcoming 2000 Austin Salsa Music Festival featuring Cuban favorite Albita and Puerto Rican trombonist Jimmy Bosch, Waterloo Park, September 3rd, 2000. KVUE Morning Show - Friday, July 21, 2000, 6am. PRFDancers and Percussionists dance Bomba live in the KVUE studio in tribute to West Africa's significant contribution to Puerto Rican Culture. This event promotes the upcoming 4th Annual African American Festival of Dance, Friday, July 21 at the Helm Fine Arts Center. Dancefest2000 Review - Austin American Statemsman, Life & Entertainment, February 4, 2000. Largest dance production Austin has ever seen, with more than 50 dance companies in performance. Why Do They Do It? (PRFDance Interview) - Austin American Statesman, XL Entertainment, January 20, 2000. Why is PRFDance so passionate about our culture? Why Do They Do It? (All Interview) - Austin American Statesman, XL Entertainment, January 20, 2000. Everyone gets their turn to talk about dance. Every Motion Tells a Story - Austin American Statemsman, Life & Entertainment, September 16, 1999. Life & Arts cover story features PRFDance in our first ever cover-story media coverage. Yeah, we framed this one! Collectivos: Seeds Of Our Ancestors - Austin Chronicle, Arts, October 10, 1999. PRFDance represents Puerto Rico's ancestors in this community dance performance. CBS K-EYE TV Morning Show, Oct 12, 1999, at 7am. Our dance company will perform Seis de Los Palitos for K-EYE TV to promote the Austin Children Museum's International Festival at Fiesta Gardens on Oct 16, 1999. Horizontes - KUT Radio, January 30, 1999. Two-hour music show featuring music of Latin America. PRFDance Director Ana Maria Maynard, was interviewed for a half-hour program promoting Puerto Rican music, history, and their DANCEFEST performance on January 31, 1999. CBS K-EYE TV Morning Show - January 30, 1999. The Bailes de las Montanas are featured on KEYE Morning Show promoting DANCEFEST, January 31, 1999. K-EYE Morning Show - January 23, 1999. PRFDance Director Ana Maria Maynard is interviewed and traditional Puerto Rican costumes featured in a promotion of the family favorite Austin Ethnic Fair later today. Austin Ethnic Fair - January 24, 1998. Our Debut Performance! We dance with so much joy and pride and we got the loudest applause of the day. Guess no one noticed there were only three of us? Additional 1998 list available upon request. Great reasons to see us...again and again! "Austin should be thankful for Puerto Rican Folkloric Dance and its energetic founding director Ana Maria Maynard. They have opened our ears and eyes to music and dance unfamiliar to most Texans." -- Michael Barnes, Arts Critic, American Statesman, July 17, 2003. "You have a a beautiful treasure in this company. Please support Puerto Rican Folkloric Dance." Juan Gutierrez, Director, Pleneros de la 21, June 2002. "The members of Puerto Rican Folkloric Dance aren't just performers, they're cultural ambassadors." Shermakaye Bass, "Every Motion Tells a Story," Austin American-Statesman, Sept. 16, 1999. "You don't have to be Puerto Rican. This is the music and dance of the people, and we're all people!" Santa Yanez-Montemayor, Board Secretary (1999). The Puerto Rican Folkloric Dance troupe offered a mix of folk dance, pantomime and live music to open the show." Sondra Lomax, Dancefest Review, Austin American-Statesman, February 4, 2000. "Puerto Rican Folkloric Dance Company...cleansed the audience with their beautiful white costumes...While executing joyous shimmies and contractions." Barbejoy A. Ponzio, "Colectivos: Seeds of our Ancestors," Austin Chronicle, October 29, 1999. "They're new and they've moved very fast and very far." Elaine LeMoyne, volunteer panelist for the City of Austin Arts Commission, 1999. We are bringing this culture to Austin because many people don't know much about Puerto Rico, even thought it's been part of the United States for 100 years." Ana Mar�a Maynard, Founding Director. "...performance was absolutely wonderful and added much color....your group received the loudest applause of the day!." Jan Slack, Austin Ethnic Fair 1998.